Or, The Year tha- YAYY KOJIMA!!! Boy it was a hell of a year for for private prison/pachinko maker Konami, huh? I mean, we had all the crap with removing “A Hideo Kojima game” from future and past games, the P.T. debacle/ultimate cancellation, and them thar working conditions. Then we saw random PR peeps accepting awards for MGSV, which seemed suspect. Turns out it was, as Geoff Keighley, in his most unpunchable, confirmed Konami was trophy-blocking Kojima. On top of everything, Kojima himself was unusually quiet. It seemed as though he was more or less legally, unusually quiet. Which wound up being true. Hideo Kojima got to keep his studio name! I know that seems crazy stupid to act like Konami wouldn’t let Hideo Kojima use his own name, but seriously. 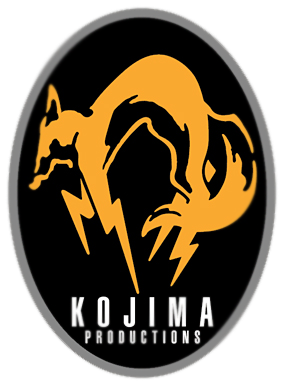 Kojima Productions (KojiPro) was a Konami company. Konami could have kept the name for recognition like Activision did with Infinity Ward (the original IW is now Respawn Entertainment). The fact that they let him take the (pretty well-known) studio’s name goes a long way. Hell, I sorta think that’s why his name was cut from old games in the first place, a conceit to keep KojiPro when he left. Kojima is Now an Indie!! ... ..? Yes, he is still Hideo Kojima. Yes, he will still make AAA games. Yeah, he’s super high-profile, and has been making games for over 30yrs [!! ], but he’s free. KojiPro needs some income to build up and stand on it’s own feet. Sony needs a killer exclusive that can work with their new VR headset. KojiPro has the talent to make a hell of a game. Sony has the cash to fund a hell of a game. Del Toro and Kojima are still best buds. Norman Reedus said Silent Hills needs to happen. The demo for Silent Hills is so good that people sold super marked up PS4’s just because they had it. Sony is making it rain with dolla-dolla-bills-y’all so the guy who sold all those Gun Metal Grey PS3’s makes a VR killer app..? I mean, Konami only owned the name Silent Hills. Well...and the Fox Engine. But so what? Use UE4 and rename it something else, like...I dunno...Playable Terror? Who knows what the first game from KojiPro is. All I know is somewhere down the line, we will get a stealth action game from Kojima. It will star a grizzled war vet. It will have themes of nuclear deterrence and global peace flowing through its veins. It will stradle the line of serious near-future military drama, and melodramatic action anime soap opera- never fully embracing either side. Some of its commentaries will be as subtle as a butterfly’s wings flapping, others more ham-fisted than a pig’s hoof. It will be Metal Gear in all but name, and it will be amazing. Kojima-san no Longer Needs to Make MGS!! This is exciting, right? I am a huge MGS fan and... well, this is probably the best news. Kojima has wanted to make something different forever. Hell, he even tried a middle road of making a new type of game (open world) and not getting death threats (making Metal Gear) with MGSV. But now he is free. So free, his new studio’s goal is to make digital entertainment- not just games. What am I most looking forward to from him? Films. I get goosebumps thinking about it. Maybe we could finally see what that MGS3 “nightmare demo” was all about. Or a spiritual successor to ZOE. Maybe he gets into episodic adventure games to revive Snatcher/Policenauts-style Telltale-killers. Maybe he makes virtual pachinko. How about you? Do you like the outcome of the split? What are you looking forward to the most?